Recently, I was involved in my first HP Moonshot Proof of Concept (PoC). HP Moonshot is a fairly new technology that can be used to provide hosted desktops to users with Citrix XenDesktop 7.x. If you are not familiar with Moonshot, I would recommend you watch this excellent video by Dane Young at the Experts 2 Experts Virtualization Conference from May 2014 in Los Angeles. Citrix and HP also have excellent blogs and articles as well that you can review. In this article, I will show you some of the lessons I learned and some tips for working with Moonshot. Again, since Moonshot is a headless system, using PVS Maintenance and Test versions will be a royal PITA unless you use the registry setting described in CTX135299 on every PVS server. It is either that or give every Maintenance and Test user PuTTY access to the Moonshot chassis so they can access the virtual serial port on the node the Maintenance and Test target devices are attached to. I want to end by saying thanks to Tony Sanchez of Citrix (@TonySanchez_CTX), Dane Young of Atlantis (@YoungTech) and Jarian Gibson (@JarianGibson) of Choice Solutions for going way beyond the call of duty in helping me prepare for this project. The Citrix and CTP communities rock. I am not allowed to mention the customer but S.B. (@SBoggs), you are a superstar. Thanks for putting up with all the stress and the NIC teaming nightmares, I mean, issues. I am currently working on Moonshot\PVS POC. PVS and TFTP are configured on same server . Netscaler is used to load balance TFTP. Same server is able to boot directly from PVS. My apologies for the delayed response. I am neither a NetScaler nor networking person so I am unable to answer your question. 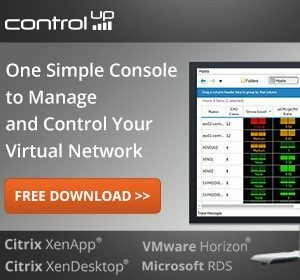 Are the PVS servers and ESX VMs on the same virtual switch on the ESX host? How is the ESX host connected to the moonshot chassis? Where is the Netscaler? a VPX on the ESX host, or a physical box somewhere else? Carl, have you ever used SCCM to try to lay down the golden image on the moonshot node? We just started our POC, however we are facing issues getting an OS on our m700 cartridge’s. Were able to pxe boot to sccm and lay down the image, however when it reboots we get “non system disk or disk error.” Any advice would be appreciated. Thanks. I have not, I have only used WDS. Thanks Carl. We reverted back to using WDS instead of SCCM and had much better luck with the imaging process. We are successfully running a PVS based image now on our Moonshot nodes. Performance so far looks to be very good. However we are seeing one issue with our video display. Im curious if you came across it at all. When using any browser within your pvs xendesktop session on moonshot, do you get any pixelation, tiling, quality issues when moving the windows around? For example, minimizing your chrome or firefox window, and than re-opening it. This appears to be our main hangup so far with the POC. Thanks for any info. None of the PoCs I have done have used web apps or extensive use of any browser. I am doing another PoC next week. I will check it out and let you know. The projects I have done in the USA have been for HP Platinum partners so they have been using HP’s 3Par storage. The project I did in the Middle East, I do not remember what they used for storage. I am not a storage guy so storage hardware specifics are not something I pay attention to. The projects I have done have just used the existing customer solutions for folder redirection, profiles and user experience management. I am agnostic when it comes to what customers use. I do have my personal preferences but I am hired by the partner and represent the partner so I never give my opinion of what I believe the customer should do unless the partner who hired me asks for my opinion. I do not want to recommend a solution the partner may not like or use or may be a competing offering to what the partner sells. Love your review of this. I’m testing a Moonshot chassis right now and at first the headless systems bothered me, but now I kind of like it. My biggest gripe/complaint was why the 4x40GB uplink per switch. Does that not seem like massive overkill? I would think that 4x10GB would have been more than sufficient. I put 500+ users on a fully loaded C700 with 2 2x10GB VPCs and have no issues. Each Moonshot is less than half that, but has 160GB possible throughput on each switch? I guess 40GB just must be cheap now so they do it. It just makes things a bit more tedious using a 4x10GB breakout cable or SFP adapter. I work for a VERY large company and we don’t have any 40GB connections to hosts, only on uplinks, and even the 10GB connections aren’t saturated. I just don’t see the point of 40GB yet. I really hope we get this – I would love to take the hypervisor out of the picture. I also have changed my views with regards to HA somewhat – unless it’s a developer or someone that needs a persistent desktop, moonshot seems like a better solution. So a cartridge dies – log back in and get a new desktop and back to work. Heck, for our existing environments and many use cases, I think xenmotion, HA is overkill. 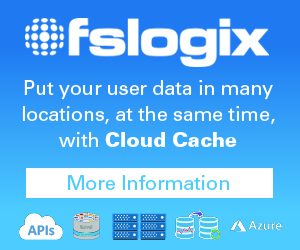 If I use local storage for the write cache, again, no need for SAN storage at all. If a host dies, ok – log back in. We use physical servers for Xenapp right now, so we don’t have an HA setup for that, and even with VM’d Xenapp, you still impact users if the VM has an issue. I see moonshot really taking off, pun intended! I am sure HP had their reason for providing those ports. I have asked my super genius Moonshot friend and fellow CTP Dane Young to respond to your concerns. what about delivering XenApp image insted a windows 7? i’m thinking about a hosted shared VDI or just publishing apps to users. what are your thoughts about it? 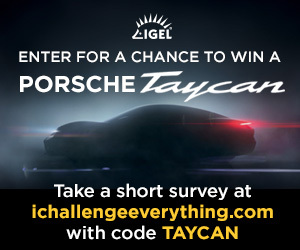 have already tested it? HP now has the M710 cartridge specifically for XenApp workloads. Could you also advise whether your PVS is a physical server or virtual machine? My apologies for all of the questions but your insight would be most appreciated. I have done both physical and virtual PVS servers with Moonshot. Have no idea why it would matter. No different from any other XD/XA project. I am a fan a local to the PVS server for vDisk storage. If you will be using Moonshot in production, you would need multiple StoreFront, Controller, Director and PVS servers. No different from any other XD/XA project. User profiles same thing. Manage user profiles the way you would for any other XA/XD project. 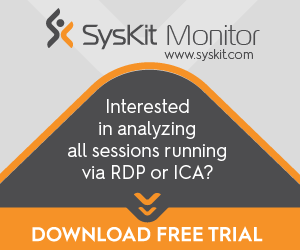 The XD/XA side is the same regardless of the technology used for endpoint devices. How do you perform a reverse image with Moonshot? Say there is a new PVS version and you need to update the Target Device Driver. 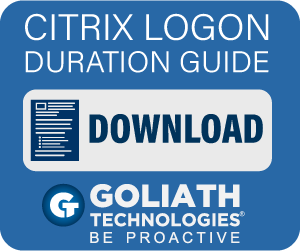 You use the standard processes documented by Citrix. Once you use PVS to capture the original OS image from the Moonshot node, the rest is just 99% of your standard PVS and XenDesktop processes. I have verified this information with my fellow CTP and Moonshot bigot Dane Young. Carl, I haven’t read through all the comments here, but I wanted to let you know, you do NOT need PVS to publish a Moonshot Desktop with XenDesktop. You can publish it as a static desktop. (Do not use PC Remote though). You are correct. You can use whatever you want to push the OS image onto the Moonshot node and use whatever you want to stream an OS image to any node you want. BUT, if you want or need support from HP and or Citrix, you will need to use their documented, tested and verified processes. Carl- I’m curious what kind of performance you saw in your POC. We are on the waiting list for a demo chassis from HP to do some performance benchmarking but it could be some time before we see it. We are currently have around 2000 users running XenDesktop 5.6 on Cisco UCS B230-based (Intel Xeon E7-2870 2.4ghz) servers on VMWare ESXi 5.0, but we have users who are requesting beefier desktops for heavy Excel calculations. I know on paper the Xeon should handle this faster but in our experience when the ESX server is under full load, CPU performance drops heavily. Does CPU performance on the Moonshot really rival a physical workstation in your experience, was it closer to VDI or somewhere in the middle? I can only give you the comments from the testers on the three Moonshot projects I have been involved in. They all say the Moonshot delivered desktop is faster than their local physical desktop. Since each user gets four dedicated cores running at 1.8Ghz, 8GB dedicated ram, dedicated GPU and dedicated SSD storage – contention between users for host resources just does not exist with Moonshot. Email me and I can put you in contact with the HP Platinum partner I am working with and maybe they can work with HP to get you a PoC worked out. I just finished from installing the whole HDI environment using moonshot 1500, m700 cartridges, XenDesktop and PVS using standard image type. I was trying to make two pools one for persistence users which they can save data and the other for non-persistence users. for non-persistence users there were no issues and the desktop refresh back after reboot. but for persistence pool using a machine group with static desktop experience, the user data had been deleted after reboot !! wt is the difference between static and random machine group as a user experience ? how I can deploy a persistence users to be able to save their data by using moonshot, XenDesktop and PVS? Static means the user gets the same desktop (Moonshot node) every time. That is what you need if you want to use persistence. I have done a mix of random and static but persistence only works with static. The 8GB of DDR3 memory per SOC on the m700 is a bit tight for some users. There are ECC SO-DIMMs with 16GB (per single module) from Intelligent Memory (part# IMM2G72D3LSOD8AG) which do work fine on the m700 Cartridge! Unfortunately there is no official HP approval for them, yet, but these memory modules are in production and available. would you like to do a production deployment? Sure. Sent you an email. Windows 8.x is mot supported at this time. So $900 for each desktop. 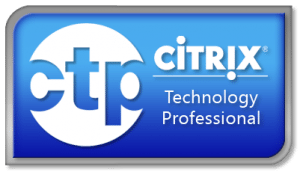 How about Citrix licensing and hardware for PVS? As I understand it, Moonshot solution will not work with Citrix VDI license and requires Enterprise ($225) or Platinum ($350) edition. So, that bumps it up to $1125 or $1250 per desktop plus the cost of PVS hardware. Plus, since the desktops are not virtualized, you lose all the benefits of desktop virtualization (resource sharing, faster provisioning, disaster recovery/vMotion,etc,etc) in the first place. 180 users in 5 U is a lot less than what traditional VDI can support which is roughly 200 users per 2U or 500 users per 5U. Last, but certainly not least, Moonshot will still require you to have/purchase endpoints. 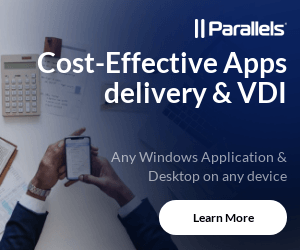 Maybe I don’t understand this solution fully and there may be corner use cases where this is a good choice, but I can’t imagine customers choosing Moonshot over traditional desktop virtualization or VDI based on cost or simplicity of administration. Don’t you have to have endpoints regardless of the solution? Moonshot m700 cartridge is for specific use cases where users need 8GB dedicated RAM, dedicated quad-core processor, dedicated GPU and dedicated local SSD storage. How many of those types of users can you get in your 2U server? Most people virtualize PVS so no dedicated hardware required for PVS. I quoted full-blown retail for a fully loaded and configured Moonshot chassis. I don’t know of any enterprise that pays full retail. Do you? Full retail is the only price I know. Also, since Moonshot is physical, there is no Microsoft VDA tax. Fair enough, that’s a lot of hardware but it’s definitely not mainstream requirements-maybe that addresses less than 5% of workloads? Fair enough-but that virtualized PVS server has to live somewhere and it’s not on the Moonshot chassis-my point was that Moonshot is not a complete solution-additional hardware is needed. Again, good point-but retail is the only fair way to compare prices as discounts vary from customer and quantity purchased. I don’t know of any VDI customer paying full retail price either and so this point is moot. Microsoft requires licenses for the HP CovergedSystem 100 cartridges and client devices such as PC, laptop, thin client, and so on. Microsoft volume licensing provides the Win7 Enterprise OS licensing. I find this article quite interesting because I am coming from a different angle. I have been running physical desktops on PVS in production for about 4 years now (AutoCAD workstations), so I am well versed on how to do that. I am disappointed to see that moonshot basically does not have a good integrated gui-capable KVM or iLO solution built into it to at least get the gold image going, oh well. The reason I am even interested in this is that we also use XenApp and XenDesktop for other workloads, and the one in particular that I want to run is GoToMeeting for WebEx, which basically blow chunks on traditional XenApp or XenDesktop. So I am thinking throw moonshot in there and use vm hosted apps (or whatever they are calling it now) to solve that particular use case without having to resort to either redirection or just running it from the real desktops. The only other really whacky thing I thinking here is, what would happen if you threw XenClient Enterprise into this mix? Do the cartridges even support virtualization features? If that was supported, then that would solve the gold image issue, because you would then have a hyper-visor, and you would be able to edit your gold image even elsewhere entirely if you wanted. Also, if these cartridges are powerful enough, what if you could get 2-3 desktops on one? Then could you go past the 180 physical. Don’t know at this point if GoToMeeting also has a problem on XenClient Enterprise, making this idea moot. I have no insider knowledge of what HP plans for Moonshot. All I have is my own first-hand experience in dealing with the various teams involved in Moonshot at HP, Citrix, Velocity and Broadcom. I can almost guarantee you that HP listens very closely to what happens with Moonshot in the field. I am sure that any and every pain point and issue are felt in Houston where the HP Moonshot team and labs are based. All I can say is I agree with you. It will be nice when (if) HP releases an updated Moonshot that has an integrated GUI capable KVM, VSP or iLO solution. It will also be nice to see HP and Moonshot support running XenApp 7.x server based hosted desktops on the m700 or later cartridges. Just doing some WAG based math, if I have 180 quad-core based nodes with 8GB ram and I can get 15 XenApp 7.x users per node, that would be 2,700 users in just over 4U. Bump up the processors, increase the RAM to say 32GB and the SSD storage to 128GB per node and you could probably get 32 XenApp 7.x users per node or 5,760 users per Moonshot chassis. Again, I have NO knowledge of ANY future plans for Moonshot. Everything I just replied to you with could be just a big pile of crap. Currently, XenClient is not supported on the m700 cartridge. Looks like we both will just have to sit back, wait and see what HP does with Moonshot. That is an informative and usful read Carl, thanks for sharing. Mind I was sightly bemused at the #6 – XenDesktop, a Persistent Desktop is one in which a user’s settings and or user installed applications persist between reboots.. which is *can be* a full Windows build managed like regular physical Windows desktops. IMO Citrix have long tried to craft something that manages a full persistent desktop and only really succeed in something messy. I think HP’s concept of persistent is better – interested to hear your thoughts. Carl, the question I struggle with is it worth it? Maybe yes for a small scale deployment? Moonshot is really expensive from a per-desktop perspective. The dedicated resources are great but it brings me back to the old Blade PC days. Sure you can do it but at what cost :). Thanks for a very good article. I think it is worth it. Up to 180 desktops with 8GB RAM, 4-core CPU, up to 64GB SSD, AMD graphics and dual NICs, four 40Gb uplink ports and up to four redundant power supplies all in under 5U is not bad. Divide all that up by 180 desktops and I bet you will find the cost per desktop is going to be just over $900 using full retail pricing for Moonshot. No hypervisor cost, no SAN needed, 5 million hour MTBF, excellent support from HP and you can use the most excellent and highly scalable Citrix PVS product. Is that $900 per User for HW only? This seems more like Workstation class performance/price? Yes, that is just based on the full retail price I was given for a fully loaded with every possible option Moonshot chassis with M700 cartridges. I doubt any enterprise will pay full retail for anything.